Home » News » Business of HPC » Should the National Labs be Reinvented for the Exascale Era? Should the National Labs be Reinvented for the Exascale Era? Over at The Exascale Report, Mike Bernhardt writes that the future of U.S. competitiveness depends on HPC leadership, and we need the National Labs to get the country back on top. Exascale, and eventually zettascale, require long- term, dedicated research. Success will depend on collaboration among the labs’ researchers, shared experiences and results, along with the dedication of individual researchers and scientists who will stay focused on such a research agenda over many years. Our current approach is failing because there is no long term vision – or commitment. 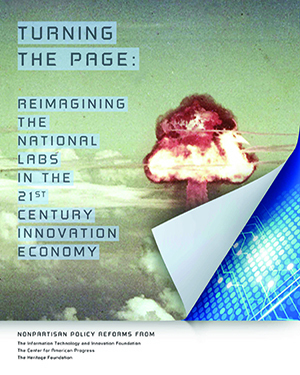 Bernhardt is urging his readers to get behind the recent ideas and recommendations in the new report entitled, “Reimagining the National Labs in the 21st Century Innovation Economy” that we covered here a few weeks ago. Read the Full Story or Subscribe to The Exascale Report today. Exascale Report: What’s at stake for HPC in the U.S. Presidential Election?